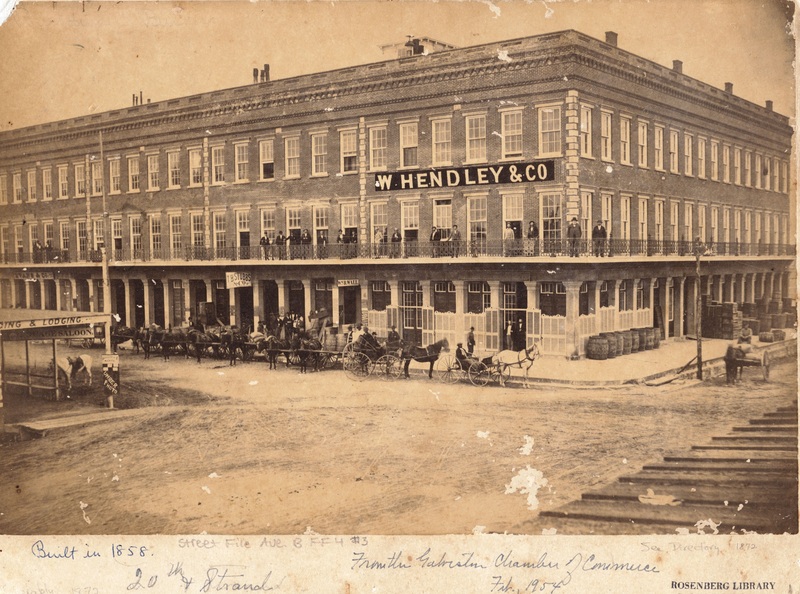 George Mitchell and the Mitchell family recently added another historic Galveston building to their Mitchell Historic Properties (MHP) portfolio with the purchase of the 1859 Hendley Building. MHP recently closed on the sale of the two east bays of Hendley Row located on the northwest corner of 20th and Strand. For many years this portion of the building housed Demack & Co., a produce wholesaler that closed in 1999. This part of the building does not include long-time shop Hendley Market. MHP plans to renovate the building and create retail space on the first floor. The Demack building has been listed on the Galveston Historical Foundation’s Heritage at Risk list since 2003. MHP purchased the building from James K. Rourke Jr. and Jack Alexander Demack. When the Hendley Row was built, which was before the Civil War, they represented one of the largest and most substantial business houses in Texas in the 1850s. The Hendley buildings are one of the earliest surviving commercial blocks in downtown Galveston.